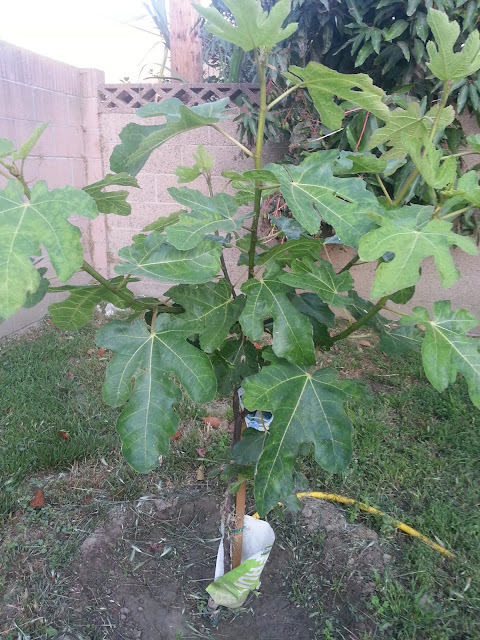 It was September last year when I got this fig tree gift from Lola. No words can describe how happy and excited I was having the little tree which in my mind will eventually bear fruits that I can proudly say home grown and hand-picked from my very own tree. Such grandiose dreams for someone with zero knowledge in planting- let alone a tree! My gardening skills if ever I have any is limited to watering my herb planters and removing dry leaves from our roses. So I asked our gardener to feed my figgy with some vitamins or fertilizer or whatever it needs to grow. 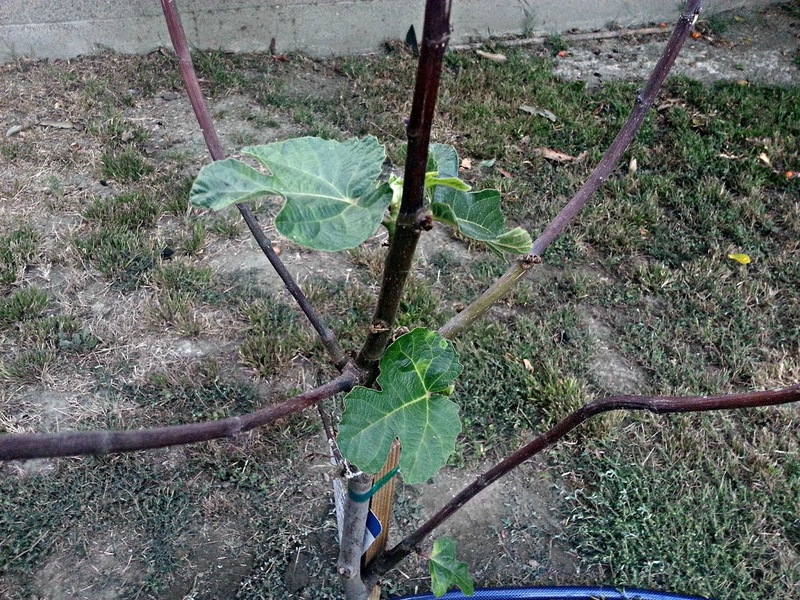 Well Ms Figgy remained the same for a while- kind of stagnant, until the little fruits fell off as well as the leaves. 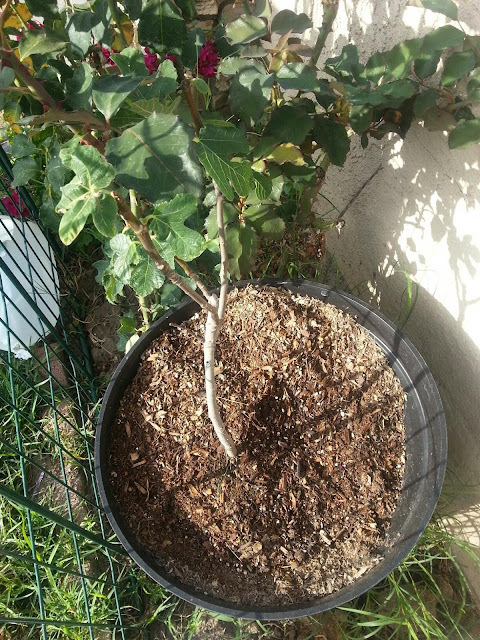 I panicked but my friend told me not to worry because her tree looked dead for a while until it suddenly came to life and then started growing fruits after a year. And so I was hopeful again after I saw new growth coming out- nice little leaves growing bigger and bigger. By Easter I was ecstatic! It has a lot of beautiful leaves and I can't wait for it to grow taller . Until one day, I just saw the leaves like these and I was heartbroken. Did I water it too much? 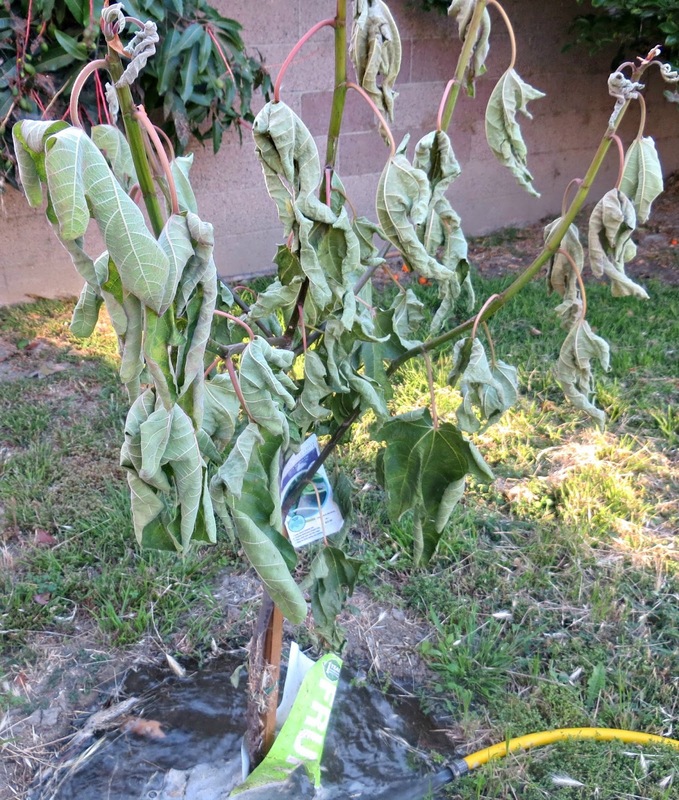 There was a day I forgot to water it and I asked myself if it was enough to kill my fig. It happened to my basil when I forgot to water it and the leaves were all droopy by the end of the day but all I did was water it again and left it outside during the night. The next day, the leaves were all happy and standing straight. Maybe I should do it to revive Ms Figgy. But nothing happened even as I did my best to hydrate it. So I just clipped all the leaves and pretty much, pronounced it dead! Oh no, let me take it back! Maybe not totally dead but I was not counting on it to survive this time although the tree itself seems sturdy. Who knows the roots may have grown stronger and then new leaves will grow but it seems like wishful thinking. I don't know. I may have half given up on my tree but I'm not ready to drop the project so I kept reading articles on other ways to grow a fig tree. I found out that it can be grown in pots so I decided I'll do it that way this time. Maybe it was my destiny to have my tree in a pot. So I ordered this online- way smaller than my first but the other one had fruits and all and still died so let's start really small. This will be my final attempt at it and if it fails then I'm done. I was advised to transfer the plant to a bigger pot which will be its home. I asked my friend to re-pot it for me and even asked her to keep it for me for a while. This is Number 2 and since my friend has a tree of her own and a fruit-bearing one, I left it in her care. I ask her almost everyday if she watered it; is it growing? 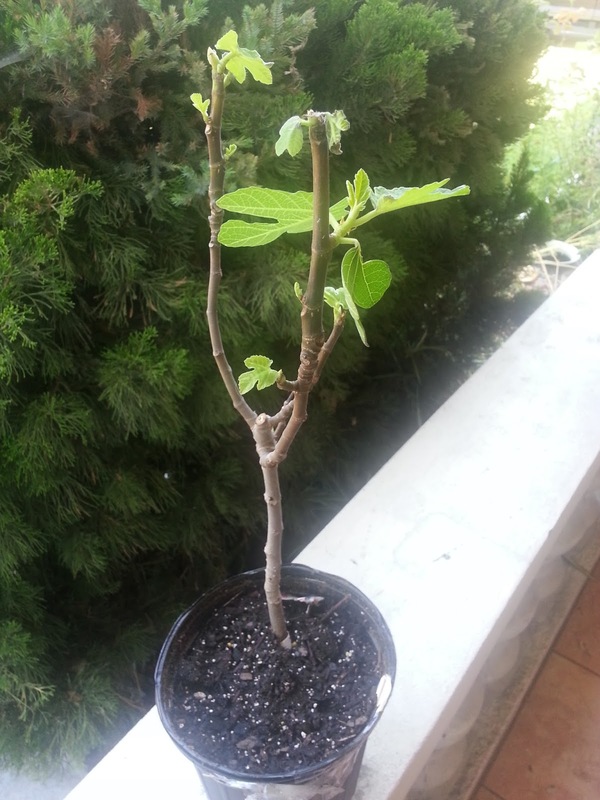 And look at the last picture she took- it has new leaves. Promising! I have all my thoughts and cares on #2 but guess what! I was surprised when I checked on Miss Figgy one day out of curiosity- she isn't quite dead! Look it has new leaves! It's still alive and I felt like crying. She didn't die on me! Now I have two chances to have my fig tree. 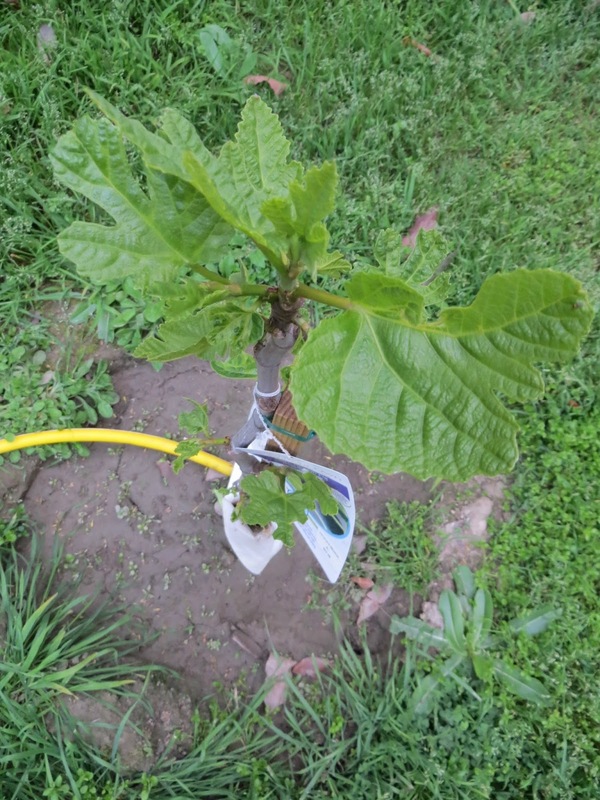 Don't give up on the fig trees. :) I don't have one (I wish I do though) but my In-Laws have one in their garden and there are so many fruit each year. 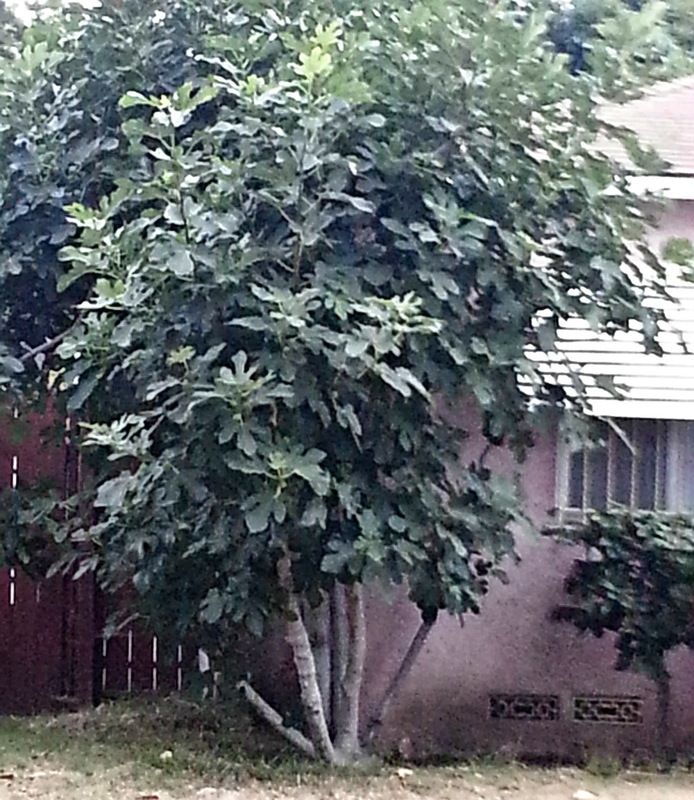 The fig tree is pretty low maintenance. So, hope yours will grow big and strong soon. Hi Faye!! Long time no talk~ How are you doing? Hope you're doing well. :D Don't give up on your tree! It'll grow. It took a few years for my tree to get bigger. Helloooooooooooooooo..... I'm so fine! You bet, where have you been? I often wonder how you're doing yourself but then I know you're busy with your studies. Now coming from you, I'm more encouraged. I still remember the fig jam you sent me. There's nothing like it that I ever tasted. I bought a little jar from F & E but it's not the same. I'm doing okay...had some unfortunate events that came up recently, but it's okay (always trying to make the best of my situation)! haha...but other than that, I'm doing pretty well. I graduated (finally)!! I'm also planning on returning to grad school probably in the next 2~3 years or so (after I take some courses at a community college and study for GREs) since I'm planning on changing my career completely. I haven't been able to bake all that much recently. 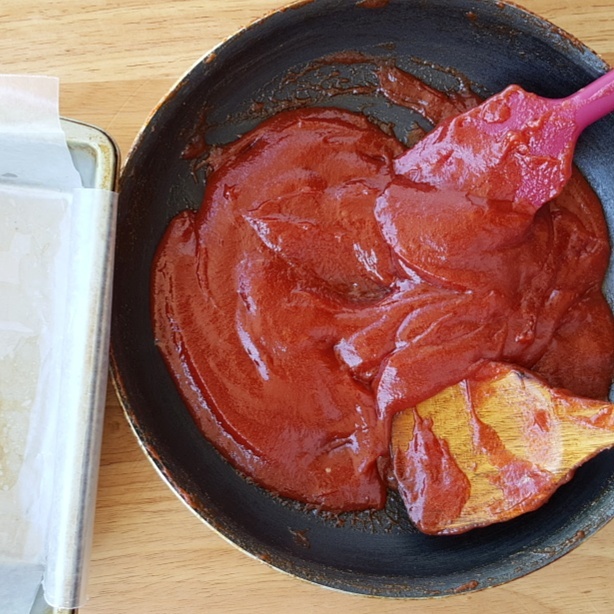 BUT I did make fig jam again recently. Made it with just sugar, figs, and chia seeds (since I don't want to stand by the stove for about 2 hrs...it's been so hot recently here). Can't wait for your tree to grow so I can see some figcreations and figspiration in the future (; I miss your Food for the Gods! It was super delicious. And the biscotti you sent during Christmas :D I still use your angel food cake recipe too..I've tried others but I still your angel food cake the best! :D Gahhh it's been so long huh?! Indeed, it's been too long. I wondered too why you're suddenly inactive at FB but I just assumed it's because of your studies. I'm so happy you've conquered college and ready to spread your wings to try new things. I haven't been baking myself because of the weather but that will change soon. 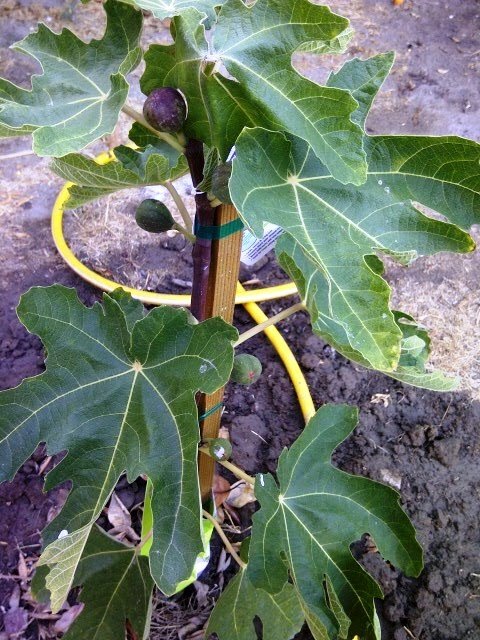 I think I'm going to stay calm and collected about my fig trees and whichever makes it, I will be super thankful and yeah, with creations in the offing but I think the first fruit is going straight to my mouth lol. Any chance you are reviving your blog? I visited one time to get your recipe for your fig galette.